Sermon from Sunday evening, 11/20/16 at the Orangeburg church of Christ in Orangeburg, SC. As we continue our study of the book of Romans, we note first in Romans 13:8 that Paul says “Owe nothing to anyone.” We ask and answer the question, “Is Paul forbidding debt?” Then we look at what Paul says we are to owe one another, which is to love one another. Please join us with an open bible as we study God’s Word together. As we approach the Thanksgiving holiday, we have taken the opportunity to look at a few things we ought to be thankful for as Christians (at all times – 1 Thess. 5:18). One of those things we ought to be thankful for is the privilege to gather together for worship with our brothers and sisters in Christ. Join us please, with an open Bible, as we consider a few points from God’s Word. The Sunday Morning Bible Class from 11/20/16 at the Orangeburg church of Christ in Orangeburg, SC. Brother Matt Burleson has been teaching us from the book The Cast of the Cross written by Drew Kizer and published by Riddlecreek Publishers. In this lesson we consider the thieves who were involved in the story of the cross. In this study, we deviate from the intended plan and take a look at a crucial issue of the deity of Christ. Please note, that some things are said in this lesson concerning the attributes of God that the teacher (also the poster of this lesson) does not agree with, and plans to deal with in a timely and appropriate way. Sermon from Sunday evening, 11/13/16 at the Orangeburg church of Christ in Orangeburg, SC. Bro. Jim Wilsford teaches the Sunday Morning Bible Class on 11/13/16. A devotional thought just before election day 2016. From the evening of the first Sunday of November (11/6/16). 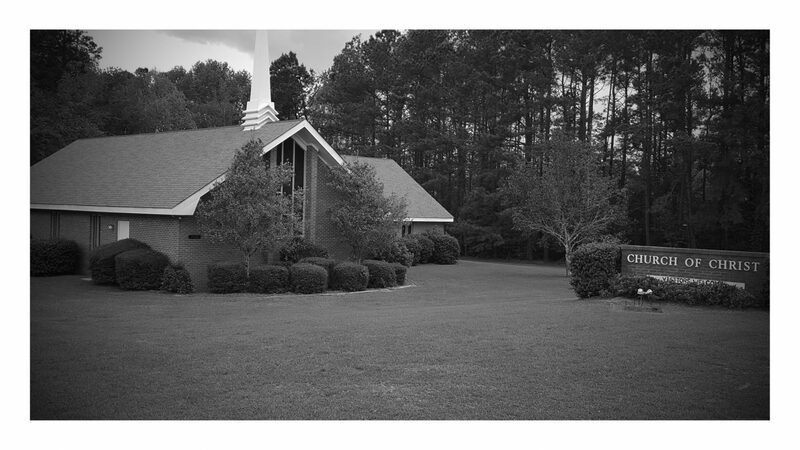 Orangeburg Church of Christ in Orangeburg, SC.